Frank Morse, Managing Director of Carter Morse & Goodrich, commented, "We are honored that these three prominent executives have joined our team. They add a wealth of experience in managing, growing and transacting with middle market companies in industries that align well within our target markets. Like the other members of our esteemed board, they will be a valuable resource for both us and our clients. " Jon Carter is the CEO of Ward Leonard Electric Company, a leading provider of electric motors, generators and power control components and systems. He has spent over twenty years transforming Ward Leonard from a supplier of spare US Navy control products into a diversified engineering, manufacturing and service company managing a wide array of power and control products. The company is headquartered in Thomaston Ct. and operates out of three manufacturing plants located in Connecticut, Texas and Louisiana. Prior to his success as CEO of Ward Leonard, Jon started his career as an architect after earning his architecture degree from Carnegie Mellon University. Jon then transitioned to managing real estate and industrial companies, becoming a Vice President of Unimax Corporation, a diversified holding company which owned a large portfolio of midsized businesses, including Ward Leonard. After assuming leadership of Ward Leonard, Jon acquired the company in 1995 from Unimax and built it into the company Ward Leonard is today. The company has grown tenfold since then, through organic growth as well as through the strategic integration of businesses acquired from a range of companies including General Electric, General Dynamics, and others. Most recently, the company expanded its presence in the Gulf Coast oil & gas and marine service and repair market through the 2015 acquisition of Houma Armature Works, which had businesses in Louisiana and Texas. Oni, a veteran software industry executive, was appointed President and CEO of etouches Inc. in September 2013 to lead etouches through its next phase of growth. He also joined the company's Board of Directors. Oni has 20+ years' experience in growing global technology companies and working closely with enterprise business users around the world in providing them the software, technology tools and services they need to achieve their growth goals. Oni also has proven skills in recruiting and nurturing global talent to deliver best-in-class software and services for customers. Most recently, and for over 7 years, Oni was Executive Vice President of Triple Point Technology, Inc. Triple Point, based in Westport, CT and employing over 900 staff in 16 offices and support centers, is the global leader in cloud Commodity Management software and honoree of the INC 500 Technology Company awards for 10 consecutive years. Oni earned an MBA, International Business & Science, and Honorary Ph.D in Business Administration from the University of New Haven. Tim is currently President/CEO of Tall Tree Foods, a portfolio company of Altamont Capital Partners, which is specialty Protein company with four authentic, super-regional brands. He is leading the repositioning of the brands, streamlining of the supply chain, and professionalizing of the organization to a more relevant, on-trend, growth business. 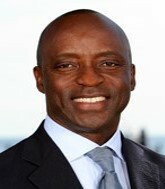 Prior to Ronnoco he was CEO of Victoria Fine Foods, also backed by Huron Capital. He created a clean-up, high growth strategy to build the premier, premium pasta sauce company in the nation. The team overhauled the business, leading to an inspiring balance sheet and flexible organization, and ultimately a sale to B&G Foods. Tim was previously CEO of Carvel/Celebration Foods, a Roark Capital backed company. He was responsible for building the company into a branded national leader, and turning around its financial condition before orchestrating a sale to Rich Products. Prior to that, Tim spent 13 years at Mars Inc. in ever increasing leadership positions across most the key functional areas. Stephen Bloch, a General Partner in the Healthcare Group of Canaan Partners, a premier global venture capital firm. Carolyn Galiette, a Founding Partner of Ironwood Capital. She serves as Chief Investment Officer for the firm and chairs the firm's various investment committees. Jack Krichavsky, CPA, the President of Almada Corp., a firm he founded to provide financial and strategic consulting services to both publicly and privately-held mid-sized companies. 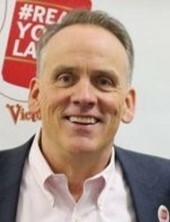 Dan Leff, the Executive Chairman of the board of Viridity Energy, an energy markets software and technology company. Marc Litvinoff, a Managing Partner of Global Strategy Group, a public affairs and research firm specializing in research, strategic communications, digital strategy, grassroots and grasstops organizing, marketing and branding. 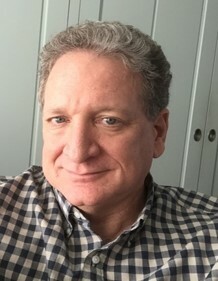 Alan Mendelson, co-founder and Managing Director of Axiom Venture Partners, a venture capital firm focused on the communications, biotechnology and IT. George Russell, Chief Executive Officer of PureRED Integrated Marketing, a portfolio company of RFE Investment Partners, which delivers a fully integrated portfolio of Digital and Traditional Marketing capabilities for their Consumer Retail and Consumer Product clients. Dan Schley, co-founder and Managing Partner of Dolphin Capital Group, a growth equity fund focusing on early and mid-stage companies in the technology, financial services and consumer products sectors. Founded in 1987, Carter Morse & Goodrich is a boutique investment bank specializing in advising privately held middle market companies. CMG provides a full range of investment banking services: business sales and divestitures, equity and debt capital raises, acquisition services, and pre-transaction and strategic advisory services. Time and time again, our strategic guidance and seamless transaction execution has proven crucial for clients, many of whom we represent in their once-in-a-lifetime transaction. For 30 years, CMG's combination of hands-on Managing Director involvement and extensive network of domestic and international resources has enabled us to help hundreds of business owners plan, execute, and close transactions that maximize shareholder value.